This 3-routine pack contains a week of gym workouts to hit every muscle group in your body. Get ready to push your body to the limit and grow leaner, stronger and faster. 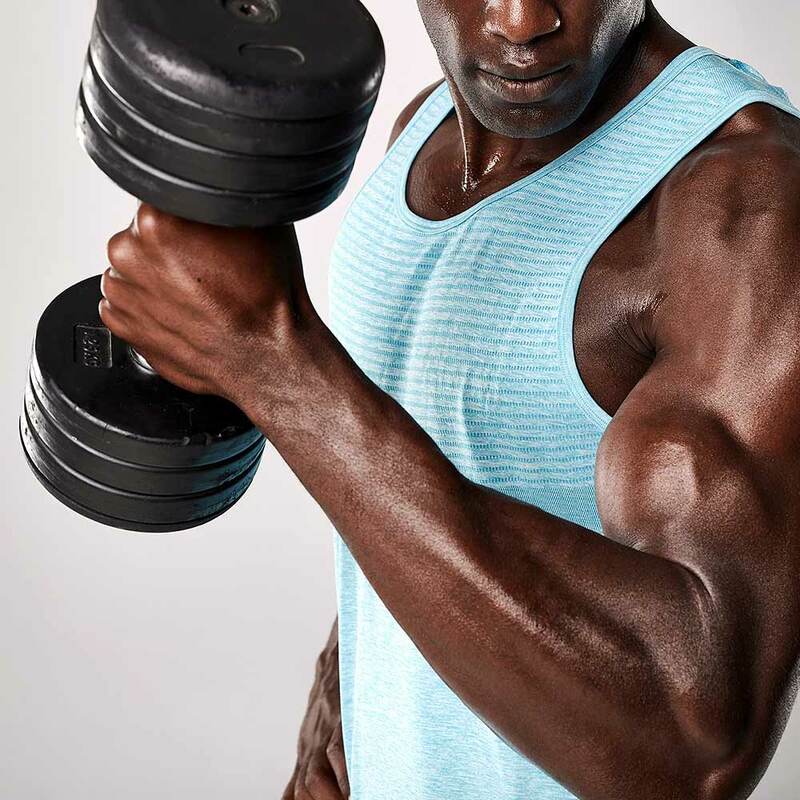 In this melting pot of a fitness plan we’ve combined a moderate weight training workout with a defining core attacker and an intense interval training routine. Results will be evident in no time with this healthy mix of training styles. All you’ll need is a gym, a good attitude, and a mop to clean up the liters of sweat from the floor. 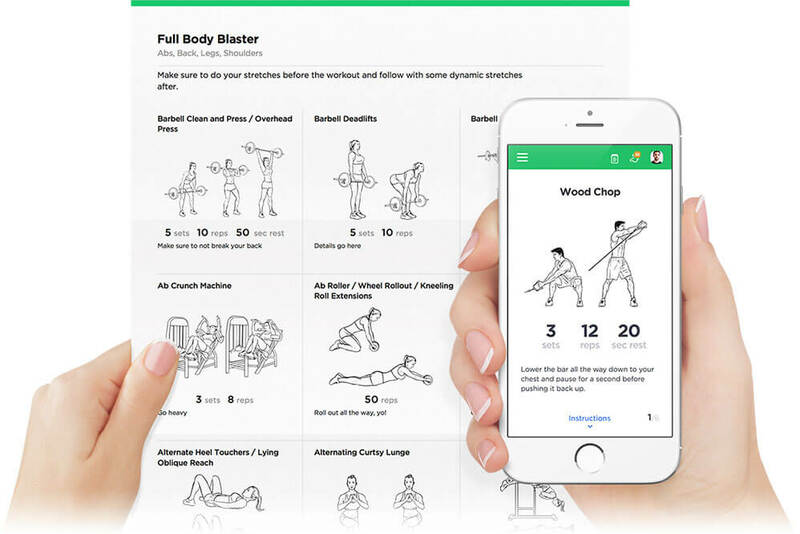 Feel free to customize the workouts to your preferences with the workout builder and as time goes by, try increasing the weight, lengthening work times and decreasing resting periods to push your body to new limits. The workouts in this pack are best performed with a rest day in between – on Monday, Wednesday and Friday. You can repeat the pack for four weeks, increasing difficulty each week to get maximum results. Workout 1 is a strict weight-training routine that targets every main muscle group in the body. Start out with the full-body dynamic warm-ups before attacking this one head on. The main focus is to complete every set and every rep. 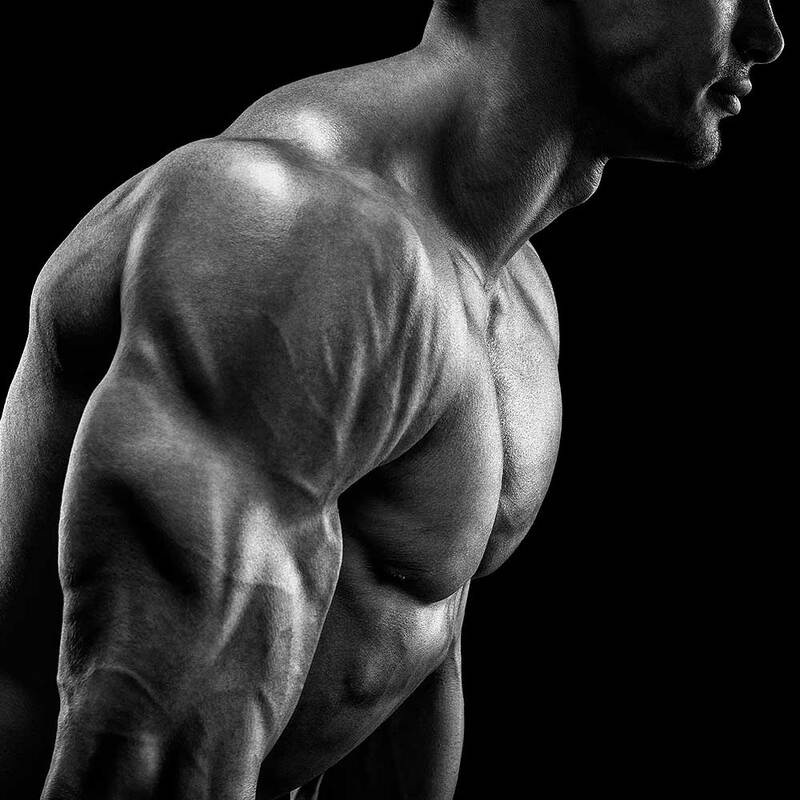 If the muscle isn’t burning for the final 3 reps, you’re going too light. On the other hand, if you’re not able to reach the amount of reps given, your weight is too heavy. Take about 3-4 seconds to complete every repetition and watch out for those supersets! When this workout becomes too easy for you, simply increase the amount weight you use. Workout 2 is your interval for the week. By that, we mean interval training. Have a walk or a light jog combined with some dynamic movements as a warm-up and then jump straight to it. Every three exercises form the same pattern: an alternating-intensity cardio exercise, a low-intensity exercise and a high-powered speed exercise. 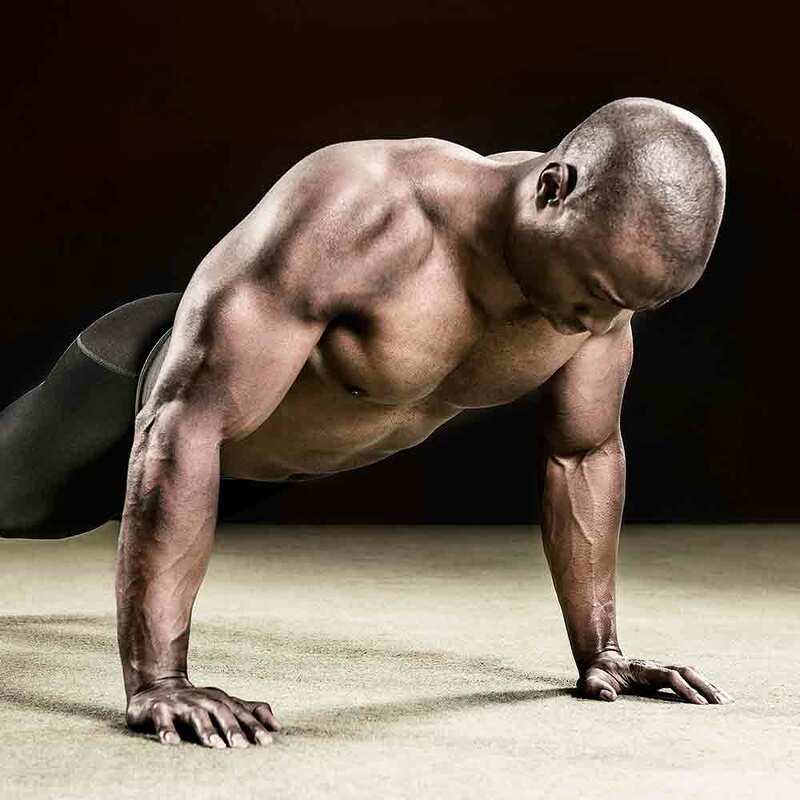 Flow from one exercise to the next with no break until you’ve completed all three (after the high-powered exercises). Then, rest for two minutes and begin the next three exercises. Challenge yourself in the future by increasing the reps and speed of each exercise. Nail it. Workout 3 will give you the opposite feeling to butterflies in your tummy. Those butterflies can leave, things are about to get pretty tight. This final workout is all about your core: 315 reps of hard-core development are about to rain down the pain. Not to mention a 90-second hollow body hold thrown into the mix. Complete every rep, it doesn’t matter how many rests you take – just complete every single rep. Keep an eye on those exercise instructions, they’ll definitely help you out with this one. A future challenge could be to time yourself and then attempt to beat your previous scores. Get your body ready, changes are coming.